Live Large! New luxury living in Hoboken! With soaring ceiling heights, larges sensible layouts, hardwood flooring throughout, these luxurious Hoboken apartment homes will surely please even the most discerning resident. With a state-of-the-art fitness center, residents lounge, landscaped private courtyard and available on-site covered parking, The Jordan elevates luxury living in Hoboken. 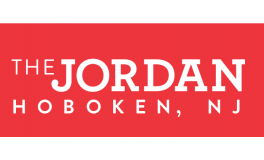 The Jordan offers large one- and two- bedroom luxury apartment homes with high end condo quality finishes just steps from the best restaurants, shops and nightlife Hoboken has to offer. We make even easier with shuttle service to the PATH station while within walking distance to the Light Rail and NY Waterways. Make yourself at home. Your lifestyle is defined in the details. We designed your home from the start to set a new ideal in rental community living. The Jordan is a smoke free community. $500 non-refundable pet fee. $50 per month per pet. 2 pet maximum per apartment. Breed restrictions.